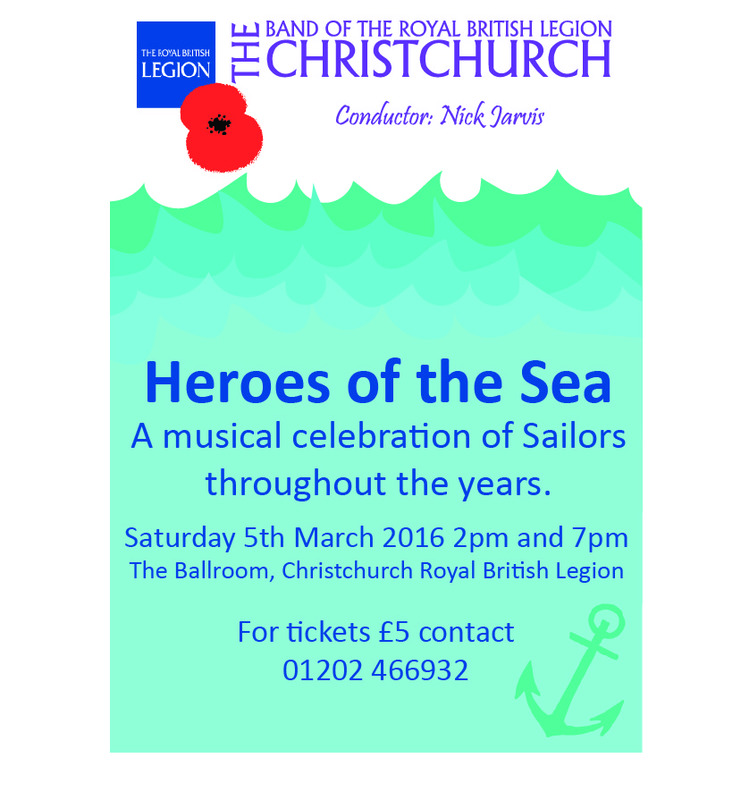 This concert will be a musical celebration of Sailors throughout the years. In a change to pervious years we will be giving two performances in one day, at 2pm and 7pm in the Ballroom of Christchurch Royal British Legion. Tickets are £5 and available from 01202 466932.